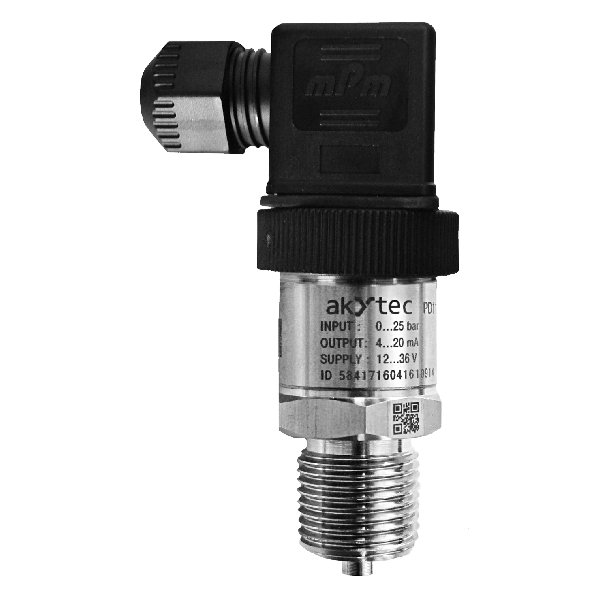 The PD111 is a pressure transmitter for general application with an internal diaphragm made of stainless steel AISI 316L and with a silicon measuring cell.The transmitter converts the medium overpressure to the 4-20 mA standard signal. The transmitter is suitable for gauge pressure measurement in a media which are compatible with stainless steel AISI 316L / 1.4435 (AISI 304 / 1.4307). Note *V – vacuum, *G – gauge, *C – combined.